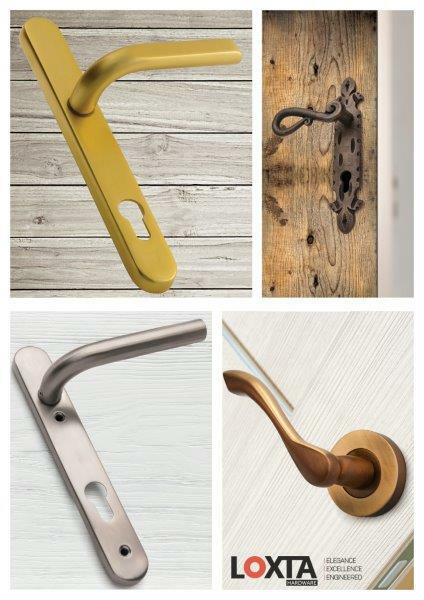 Loxta – a new door hardware brand, based in Lancashire – is prompting retailers, door manufacturers, installers and homeowners to re-evaluate the competition, with its stylish, bright and technically advanced suite of handles, plates, escutcheons, fasteners, locks, accessories and more. While the Loxta name is new, the family-owned business behind the brand has over 30 years' experience in door hardware manufacturing and ironmongery, and is looking for partners to help maximise its channels to market throughout the UK. High Tonnage Hot Closed Die Forging and ElectroCoating are among the processes used to create Loxta's flawless finishes, resulting in soft contours, enhanced strength, and superior levels of resistance to corrosion and UV damage. “The durability of our products has already proven a major selling point with both trade customers and homeowners. We back our products with a mechanical guarantee option, and properly cared for, they will maintain their aesthetic lustre for many years to come. Loxta is offering an extensive support package to stockists, including e-POS solutions, demo boards, and marketing support via PR, online listings, social media, digital catalogues and promotional imagery. To learn more about Loxta, visit www.loxta.co.uk, email sales@loxta.co.uk or call 01282 902 135.